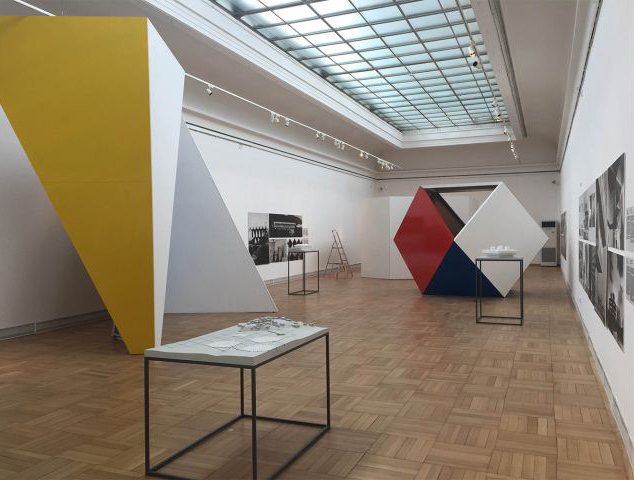 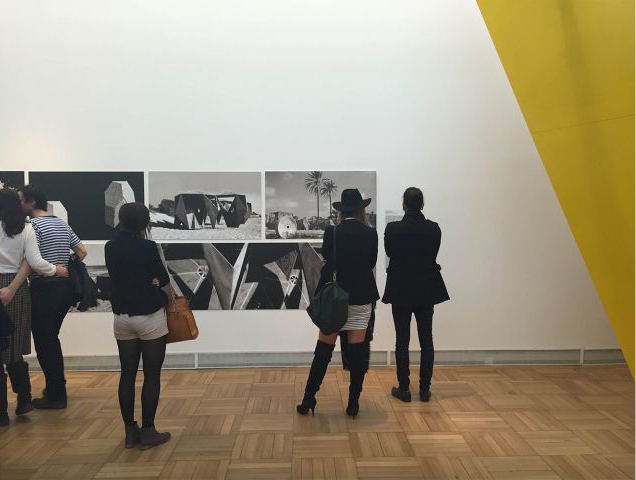 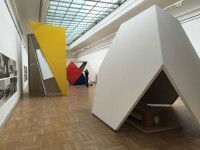 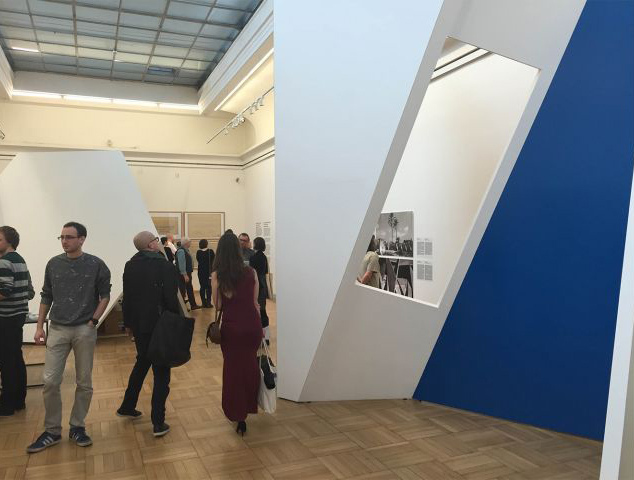 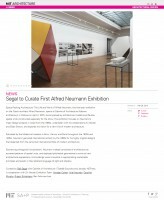 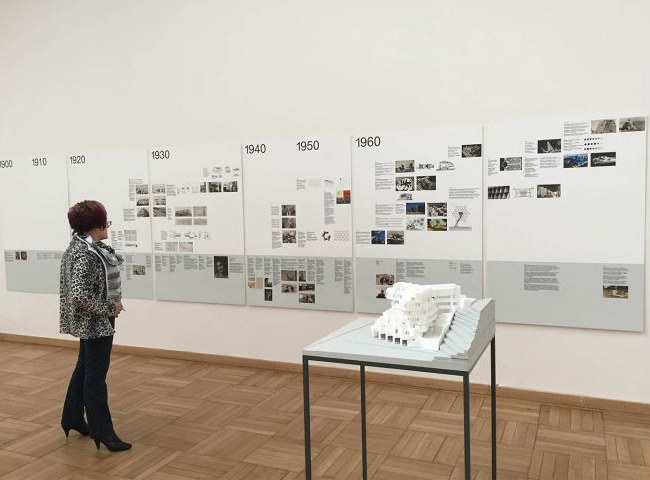 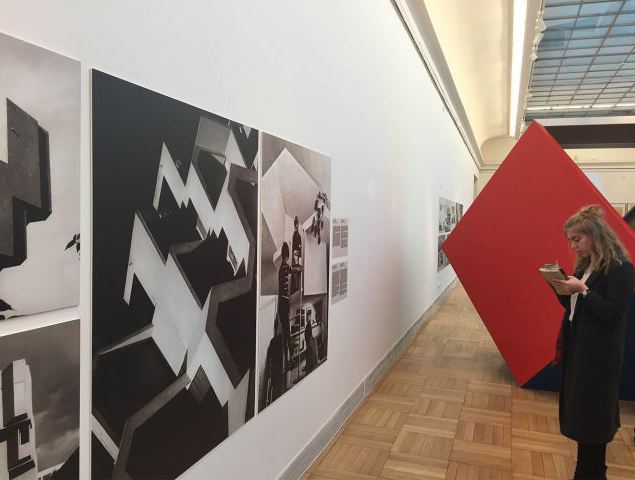 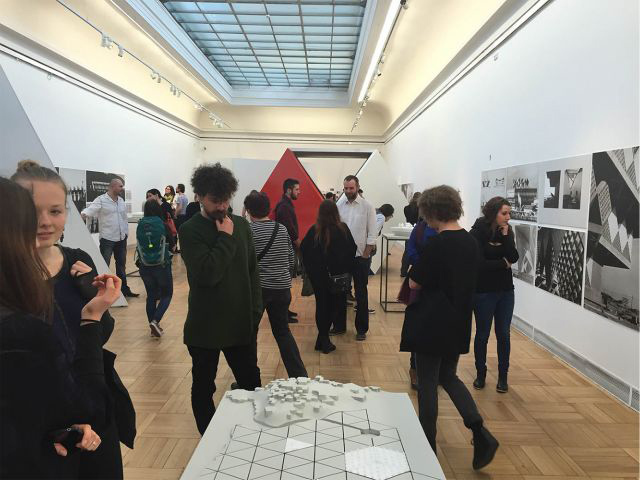 Space Packing Architecture: The Life and Work of Alfred Neumann, the first-ever exhibition on the Czech architect Alfred Neumann, opens at Cabinet of Architecture (Kabinet architektury) in Ostrava on April 2, 2015. 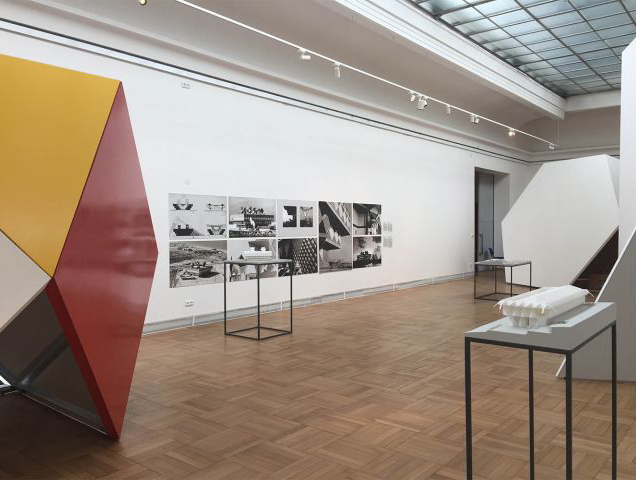 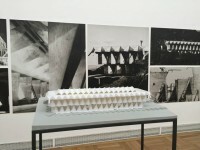 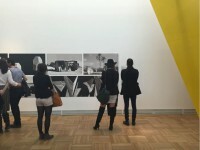 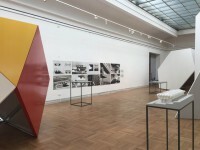 Accompanied by architectural models and life-size spatial units constructed especially for the show, this exhibition focuses on Neumann’s major design projects in Israel from the 1960s, undertaken with his collaborators Zvi Hecker and Eldar Sharon, and explores his vision for a new kind of modern architecture. 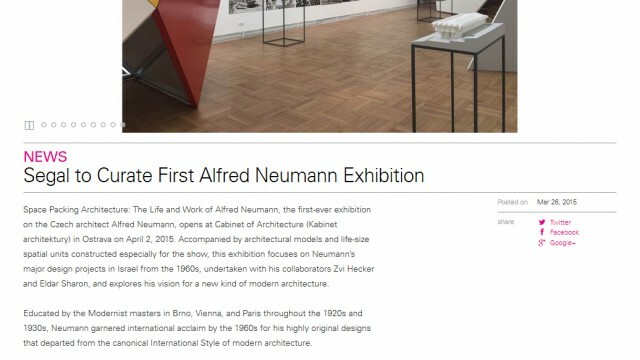 Educated by the Modernist masters in Brno, Vienna, and Paris throughout the 1920s and 1930s, Neumann garnered international acclaim by the 1960s for his highly original designs that departed from the canonical International Style of modern architecture. 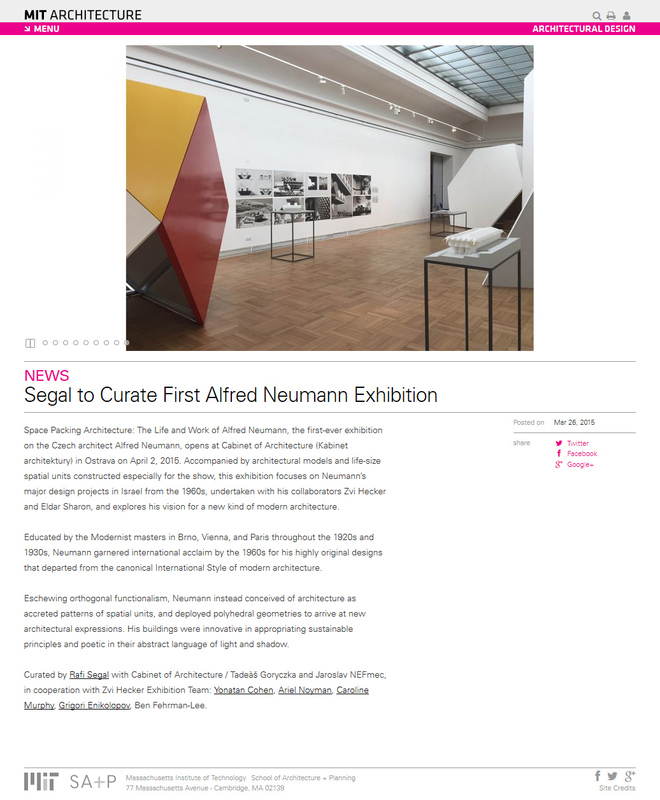 Eschewing orthogonal functionalism, Neumann instead conceived of architecture as accreted patterns of spatial units, and deployed polyhedral geometries to arrive at new architectural expressions. His buildings were innovative in appropriating sustainable principles and poetic in their abstract language of light and shadow. 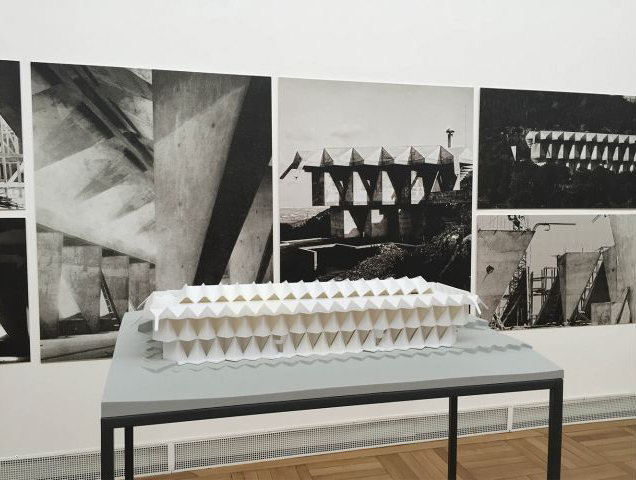 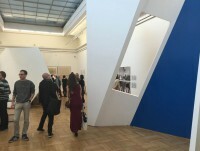 Curated by Rafi Segal with Cabinet of Architecture / Tadeáš Goryczka and Jaroslav Němec, in cooperation with Zvi Hecker Exhibition Team: Yonatan Cohen, Ariel Noyman, Caroline Murphy, Grigori Enikolopov, Ben Fehrman-Lee.